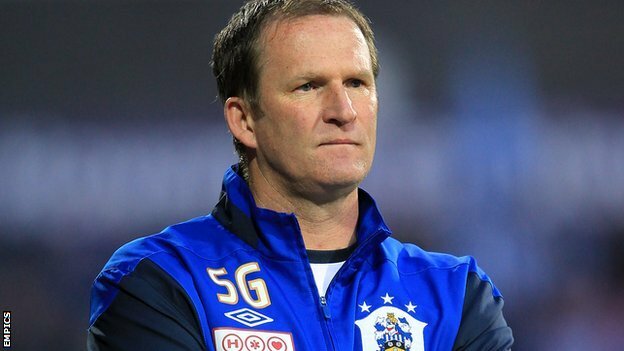 After just 11 months in charge Simon Grayson has become the latest manager to be shown the exit door at Huddersfield Town. Despite engineering Town’s return to the second tier of English football for the first time in 11 years and an initially encouraging start to life in the Championship, recent performances have meant that the decision to sack Grayson has come as little surprise to many. In fairness to Grayson, he was exactly what Huddersfield needed to get over the finishing line in the race for promotion last season. 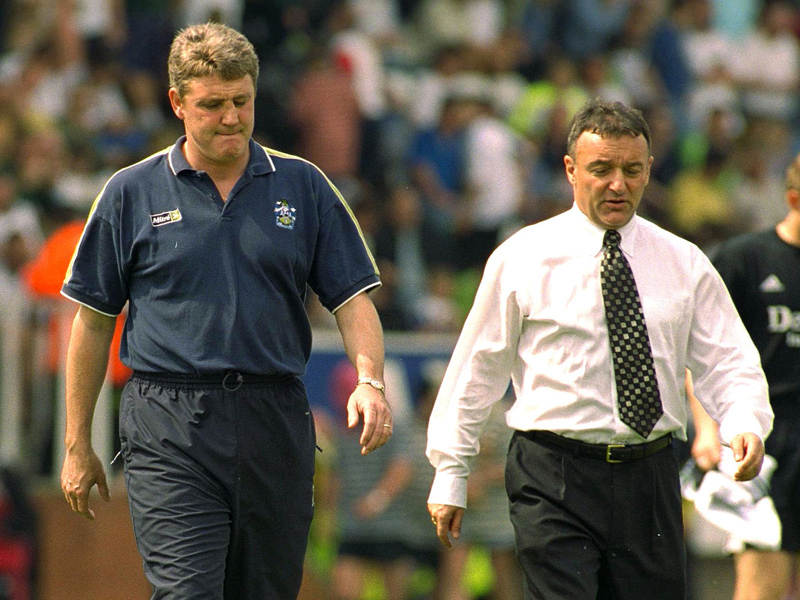 Grayson’s coolness in the successful play-off campaign represented a marked contrast to predecessor Lee Clark. In the 2010-11 play-offs Clark let the emotions and the occasion get the better of him. After the semi-final victory against Bournemouth it almost felt like Town had already been promoted and this was mirrored by Clark’s jubilant celebrations during the post-match lap of honour. As a result there was a huge sense of expectation at Old Trafford among Town fans and it almost felt as if Town only had to turn up in order to get promoted. Under Clark, Town would be partially undone in the play-off final because they ‘played the occasion’ rather than the game itself. Grayson on the other hand was much calmer after the two-legged victory over MK Dons and the subsequent celebrations were much more restrained. Grayson gave the impression that there was still a job to be done and his calmness under pressure allowed Town to stay more focussed on the job at hand against Sheffield United in the final, and there was a greater air of realism among Town fans at Wembley than had existed 12 months previously at Old Trafford. The play-off final victory was followed up by an encouraging start to life in the Championship with Town climbing as high as second in September. 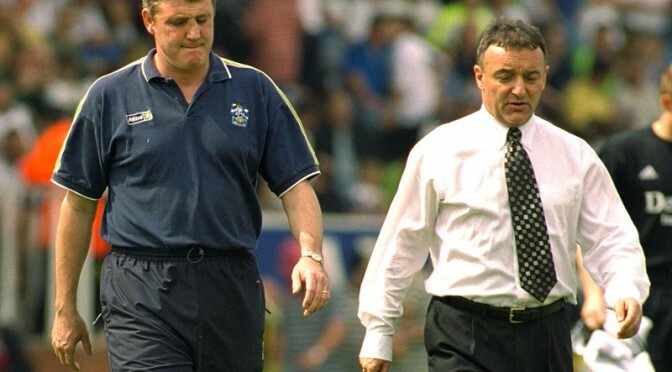 Grayson had Town playing genuinely good football, performances away against Sheffield Wednesday and Blackpool particularly stood out, and there was a general consensus that Grayson’s Town team were playing the best football since the Steve Bruce team of the turn of the century. With this in mind it might seem strange that, within four months of all this Grayson now finds himself out of a job, so where did it all go wrong for Simon Grayson? Though Town were never realistically going to be able to maintain this form throughout the season, Town’s performances have tailed off alarmingly since mid-November and the buck must ultimately stop with Grayson. Increasingly erratic team selections gave Town an unbalanced and unsettled look. As a result the attractive football evident in the early days of the season gave way to aimless long ball football which isolated Town’s most creative players, particularly Oliver Norwood who had been instrumental in Town’s positive start to the season. Perhaps the most bizarre of Grayson’s team selections – or non-selection – was his reluctance to play Scottish international left-back Paul Dixon. Despite performing well for Scotland, Dixon’s form did admittedly start to fade for Town. However, the way Grayson dealt with the situation was poor. Dixon was dropped from the team altogether for a number of weeks and instead Grayson chose to play young centre-back Murray Wallace at left-back. Decisions like this became more and more frequent as Grayson struggled to arrest the slump in form and only served to strain the increasingly fragile confidence. By Grayson’s own admission, he had never been in a position where he’d had to manage a team on a long winless run before. This was particularly evident in recent weeks and with Grayson at the helm there were real concerns about where the next win was going to come from. The team were low on confidence but more alarmingly the players did not seem, at times, to be putting in the requisite effort or commitment. There have been claims that Grayson had lost the ‘dressing room’ and this would explain why performances have deteriorated so rapidly and so drastically. Instances like the Paul Dixon one outlined above suggest that everything behind the scenes were not completely as they should be. Grayson’s departure from Leeds came amid similar allegations and though it is just speculation that behind the scenes problems were impacting on performances, it does seem hard to deny that Grayson’s questionable man-management and team selections led to the team losing its confidence and consequently the poor run of results. At this stage it is worth pointing out that I think Simon Grayson has been good for Huddersfield. The calmness and honesty he displayed, especially in post-match interviews, were a breath of fresh air in comparison to his predecessor. Furthermore, when he was appointed his remit was to get Town promoted from League One and established in the Championship. Though Grayson achieved the first part of this by gaining promotion, recent performances have brought Town’s Championship status into jeopardy. In a way Grayson has been the victim of his own success. The performances at the start of this season raised expectation levels and this served to further emphasize the poor performances that have become all too common since November as Town fans know that the team is capable of much better than has been seen recently. I do believe that Grayson has been, to an extent, let down by his players. As they proved earlier in the season, they are more than capable in terms of ability, but in recent weeks both performances and effort levels have been lacking. A run of 12 games without a win in the league and the nature of the performances that accompanied them, meant that, even though Town were still 7 points above the relegation places when Grayson was sacked, Dean Hoyle had little choice but to sack Grayson. Grayson should be praised for his success, after all Grayson is one of only 9 managers in the clubs entire history to actually win something, and I am genuinely disappointed that things haven’t worked out for him recently. However, with no sign of form improving the decision to make a change had to be made before Town slipped even further into trouble. The early season panache has disappeared and performances against Leicester (6-1 defeat) and Watford (4-0 defeat) were quite frankly unacceptable and it is the nature of these defeats that really set the alarm bells ringing. Town also struggled in home matches against Sheffield Wednesday and Blackpool, who they had beaten so comfortably at the beginning of the season, and it was evident that something had to give. It was impossible to say where the next victory was going to come from and after having to fight so hard to get back to this level Dean Hoyle simply could not afford to let the current slump continue and risk an immediate return to League One – especially given the clubs recent financial figures. It is obviously not a given that Town’s form will dramatically improve when a new manager is appointed, but history shows us that new managers often do provide struggling teams with fresh impetus. With regards to the next manager, Nigel Adkins is a name currently doing the rounds and would be a great appointment, however it remains to be seen if he would be prepared to go from managing a Premier League team to a side struggling at the wrong end of the Championship. What is crucially important is that Town look for a long-term replacement. Whoever Town end up appointing, they must choose someone who will help push them on to the next level and buy into Dean Hoyle’s vision for the club, rather than just a temporary stopgap who will help Town avoid relegation, if not the club will find itself in the exact same position in 12 months time.